If you’re like most people, you watch horror movies and rationalize your fears by telling yourself it’s not real. Well, hold on tight because we’re about to take away your security blanket. We’ve compiled a list of movies that you won’t believe. Here are 13 movies that are based on real-life events that will have your heart pounding and your head spinning. 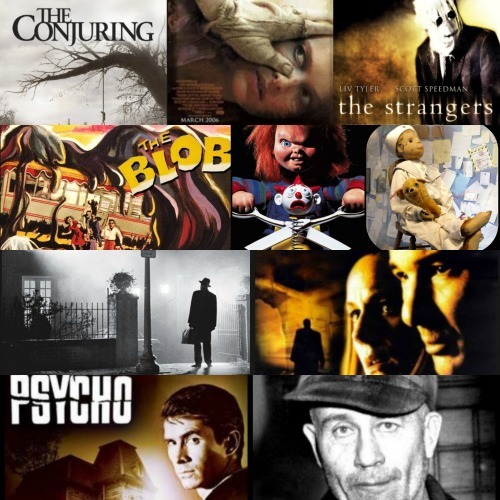 After you read this, you may want to watch all of these movies again with your new perspective in mind. Although this movie was a drive-in favorite, it wasn’t exactly a box office hit. This sci-fi thriller follows teenagers Steve (Steven McQueen) and his girlfriend Jane (Aneta Corseaut) as they protect their hometown from a gelatinous alien-like life form that swallows everything it comes across. 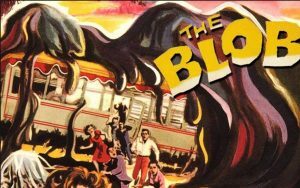 Steve and Jane are the first to encounter the blob and live to tell about it. The problem is that nobody will believe their story. Doesn’t sound too scary, right? Two Pennsylvania police officers would disagree with you. On September 26th, 1950 in Philadelphia Pennsylvania, two police officers were doing their regular patrol when they saw what looked to be a parachute floating down from the sky. They drove to the site and couldn’t believe what they found. A large mass that appeared to be 6 feet in diameter, a dark purple color, filled with crystals and seemed to be giving off an eery mist was lying on the ground in front of them. Naturally, the officers were curious, and one stuck his hand in the gooey mass. It left an odorless sticky residue on his hand, but fortunately didn’t pull him in and eat him. The terrified officers had no idea what to do with the sizeable disgusting mass, so they decided to freeze it and fly it to the artic. Seeming to sense that it wasn’t wanted, the blob suddenly started to dissolve into the ground. Legend says that the grass underneath where it had been wasn’t even affected. What did the officers see that day? We may never know. Wolf Creek is an Australian horror film that hit the box office in 2005. Wolf Creek tells the tale of three backpackers that find themselves taken captive and hunted by the deranged murderer, Mick Taylor. 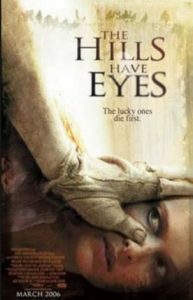 The film was produced on a $1.1 million budget and was met with a wide range of reviews. Roger Ebert and quite a few others criticized the movie for it’s realistic and unrelenting depictions of violence. Other magazines and newspapers praised the films grindhouse aesthetics. While there are plenty of conflicting stories about whether or not Wolf Creek is based on real events, we found one story that seems to corroborate the claim. The real true story of Wolf Creek happened just outside of Wolfe Creek National Park and not in Western Australia. On the 14th of July, 2001, Joanne Lees and Peter Falconio were traveling on the Stuart Highway towards Darwin. It was late at night and pitch black outside. Halfway between Alice Springs and Tennant Creek, a mechanic named Bradley John Murdoch flagged the couple down. When they pulled over, Murdoch told them that sparks were flying out of the tailpipe of their van. Peter headed to the back of the van with Murdoch to find out what was happening with the exhaust. Joanne was told that she needed to press the accelerator. Joanne heard what she believed to be a gunshot and before she knew it, Murdock was at her window. Murdock then tied her hand and feet and disappeared for a long time, presumably to deal with Peter’s body. During that time, Joanne managed to escape. She hid in the bushes waiting hours while Murdoch searched for her frantically. Eventually, the deranged maniac gave up the search and left. Joanne then managed to stagger to the road where two truck drivers stopped and helped her. Murdoch was later caught in one of the most extensive police investigations the Northern Territory has ever seen. Murdoch was then sent to trial and convicted to a minimum 28 years in prison. 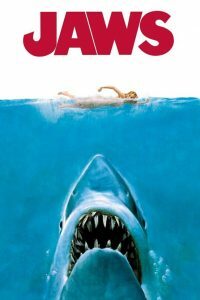 Jaws was an instant success at the box office and went on to become the 7th highest grossing movie of all time in Canada and the United States. When a young swimmer is killed by a Great White Shark while skinny-dipping near the small New England town of Amity Island, the chief of police Martin Brody (Roy Scheider) wants to close the beaches, much to the dismay of Mayor Larry Vaughn. (Murray Hamilton) Ichthyologist Matt Hooper (Richard Dreyfuss), and a tattered ship captain Quint (Robert Shaw) offer to help Brody kill the man-eating beast and the trio set sail in an epic battle that will end in bloodshed. Sounds scary enough on its own until you find out that this is a true story of an enormous and ravenous rogue shark. There is some debate about whether or not Jaws is a true story. In the summer of 1916, the United States was experiencing a severe heat wave. This heat wave, along with the growing polio epidemic, sent a ton of Americans to the coastlines to seek refuge in the water. On July 1st, 1916, Jersey shores were experiencing a significant influx of tourists. They would soon find out that they weren’t the only ones visiting the beaches. Over the next two weeks, a shark would leave four people dead a one in critical condition. The rogue shark was never captured. Okay, I can virtually feel everyone rolling their eyes right now. I know what you’re thinking. How can this be happening? A doll come to life? Well folks, hold onto your hats. Chucky is the star of Child’s Play. Child’s Play is a movie based on a Good Guy Doll named Chucky who is possessed by the soul of murderer Charles Lee Ray. Charles Lee Ray was shot by Detective Mike Norris (Chris Sarandon) while in pursuit. Ray lay dying in a toy store when he decided to use black magic to stay alive inside the body of the doll. When the doll is purchased for Andy (Alex Vincent) by his mother, bad things immediately started happening. Of course, nobody believes Andy and the violence escalate as Chucky tries to take over the body of Andy. Not many people know this, but Chucky was inspired by a real-life doll named that was owned by a little boy named Gene over 100 years ago. This doll became famous due to the creepy things that would happen whenever he was around. Legend tells that Gene was a little boy that lived in Florida around the turn of the century. Gene came from a wealthy, but strict family and his parents demanded obedience from their servants. The servants were all Haitian, and often there were problems because of their strong belief in black magic. One day, Gene’s mother was outside and saw one of the housekeepers in the backyard doing a ritual. She was furious and fired the woman on the spot, screaming at her over and over and humiliating her. The housekeeper was forced to leave the house, but before she went, she left something sinister behind in the shape of a doll for little Gene. Gene loved his little surprise doll, and at first, everyone thought it was so cute how the two seemed to be the closest of friends. The toy even looked like Gene, except that it had deep haunting coal colored eyes. Gene named the doll Robert, and soon the two were inseparable. It wasn’t long before everyone’s opinion of the friendship changed when they started to notice unsettling events. Like when Gene was alone in his room with the doll, people could hear a conversation taking place. Gene would talk in his normal child voice, and then another scarier voice would respond. At night footsteps could be heard echoing through the halls of the old home. Then Gene started to scream at night. Gene’s parents would come in and find Gene in bed, and all the furniture in the room would be overturned. During the day, the neighbors would see a small boy in the windows of the house when nobody else would be there. The boy looked just like Robert the doll. Despite everything that happened, Gene would never give Robert up. Gene still had Robert when he became an adult. Gene bought a house and gave Robert his own room. Even though Robert’s creepy ways kept everyone away from Gene, Gene remained with Robert until his death. Some people were skeptical about Robert being haunted and even went as far as to assume it was Gene that was creepy. However, after Gene’s death, a new family moved into Gene’s home. A little girl found Robert in the attic and adopted him as her own. She loved Robert and carried him with her everyone, much like Gene had… until one night when the girl let out a bloodcurdling scream. To this day the girl will tell you that Robert had run across the room and tried to kill her. Robert the Doll is now kept in a museum in Florida, but that hasn’t stopped him from scaring people. Legend says that you can’t take a picture of Robert unless you ask him politely and get his permission. If you decide to take his picture without permission, you’re going to have a bad time. People’s phones just stop working or they get home and see stuff moving out of the corner of their eye. It’s Robert, and he’s angry. Psycho is a 60’s psychological horror film directed and produced by Alfred Hitchcock and written by Joseph Stefano. Psycho is now considered one of Alfred Hitchcock’s best movies and is praised as a significant work of cinematic art by international movie critics and scholars. At the time of its release, Psycho set a new level for violence and gore that the world had never known. The movies main character, Norman Bates (Anthony Perkins) lives next to a motel that he owns and manages. Strange things start happening, and the guests in the motel hear Bates arguing with his mother. One of the guests visits the local sheriff who tells him that the mother died ten years earlier in a murder-suicide. In an unexpected turn of events, we learn that Norman had killed his mother and her lover out of jealousy. Unable to bear the grief, Norman unearths his mother’s body and starts to live with it as if his mother is still alive. Norman dresses his mother each morning and talks to her as if she is still alive. The psychiatrist says the “Mother” personality has taken permanent hold of Norman’s mind. Ed Gein inspired Norman Bates character. 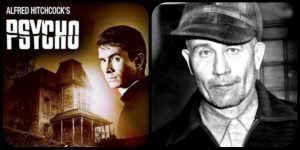 Edward Gein was born in 1906 in rural Wisconsin to a fanatically religious woman named Augusta Gein. Augusta was known throughout the small community as someone that would strike the fear of God into her boys. Edward and his brother Henry weren’t allowed to socialize with any of the other children outside of school. As a result of this isolation, Ed was picked on and bullied by the other children. Even though Ed and Henry loved their mother immensely, Augusta didn’t think much of her children and predicted that they would turn out like their father who was a spineless drunk that couldn’t keep a job. Things took a turn for the worse when Gein’s father passed away. Edward and his brother were forced to live alone with their mother and do odd jobs in town to support her. People in town thought Ed was a strange guy. Things became even more bizarre when Ed’s brother disappeared during a brush fire by their house. Ed reported his brother’s disappearance to police, who then discovered a dead and bruised Henry on a patch of unburned land. Despite the strange circumstances in which Henry’s body was found, the police couldn’t fathom Ed doing that to his own brother. No charges were ever filed. Ed is now all alone with his mother and one true love. Until 1945 when she passes away from a stroke. Now Ed is devastated and all alone. This was around the time when Gein started identifying as a woman. He also developed an intense fascination with death. Edward spent most of his spare time reading obituaries, learning about anatomy and head shrinking and visiting local graveyards. In one interview, Ed admitted to exhuming nine bodies from local cemeteries while in a trance-like state. Gein was arrested on his farm after police raided his house in search of a missing local woman. What they found would shock the world for years to come. We’re still shocked as a matter of fact. The police found bowls made of human skulls, necklaces made from women’s body parts, decapitated corpses and more. Much much more. 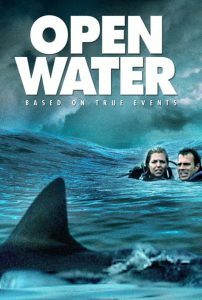 Open Water isn’t your traditional horror flick. I include it on this list because when I think about the most horrific things that can happen to a person, this is one of my most horrendous nightmares. Daniel (Daniel Travis) and Susan (Blanchard Ryan) are a busy married couple that is out for the vacation of a lifetime. Instead, they wind up as shark bait after an underwater diving company leaves them behind. Daniel and Susan are left to fend for themselves in ocean infested waters 25 miles off the coast of Queensland. They bob around like blood-filled buoys for two days before disappearing. No one knows what happened to them. They could have drowned, or they could have been a shark’s mid-morning lunch. We’ll never know. The real story isn’t much different from the movie version. The couple’s names had been changed. On the 25th of January, 1998, Tom and Eileen Lonergan, a married couple that loved diving, left Port Douglas, Australia by boat with a group of 24 other divers. They headed off to dive at St. Crispin’s reef. After a 40-minute diving session, the couple break surface to find a bright blue horizon. Blue as far as the eye could see. No boat in sight. They were stranded in the middle of the ocean. Nothing is known about the two days that the Lonergan’s spent in the ocean. The day they disappeared another ship reported finding dive weights at the bottom. A crew member simply described the discovery as a bonus find. Later on, when the search was over, some of the Lonergan’s diving gear would wash up on shore. In 1970, paranormal investigators and demonologists Lorraine (Vera Farmiga) and Ed (Patrick Wilson) Warren were brought to the home of Carolyn and Roger Perron. 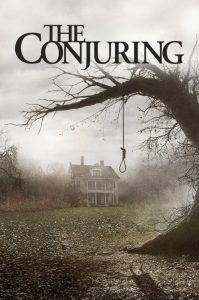 The Perrons and their five children had recently moved into a rural farmhouse where a demonic possession has made itself known. The manifestations weren’t very noticeable at first, but it didn’t take Lorraine and Ed long to know that they were onto the case of a lifetime. Throughout the 70’s, the Perron family claimed that ghosts haunted them. They tell horrific tales of ghosts shoving them out of bed and doing unmentionable things to them. The Perrons allege they were preyed upon by the spirit of a witch named Bathsheba Thayer. Let me take this time to use Ed and Lorraine Warren as a segue to our number 6. Ed and Lorraine Warren were only two of a handful of paranormal investigators that were ever allowed to step foot in the Amityville house. Ed and Lorraine Warren have been the nations top paranormal researchers for the last three decades. The Amityville Horror is a chilling horror film about a family that movies into a home they got a great deal on because it the previous residents were brutally murdered inside. The house in New York State was also the home of an 18th-century satanist. When the walls of the home start to ooze slime and blood, and swarms of flies appear, the family call in a local priest to exorcize the evil from the house. The real story that The Amityville Horror is based on is about the DeFeo family. On November, 13th, 1974, Ronald Defeo Jr. shot and killed six members of his family while living in the house at 112 Ocean Avenue in Long Island, New York. During the trial, Defeo claims that he committed these murders because voices in the house told him to do it. He also argues that the voices told him that his parents were plotting his murder. Defeo Jr was convicted of second-degree murder in the fall of 1975. A month after Defeo’s conviction, the Lutz family moved into the house with their three children. After 28 days, the Lutzes left the home after they claim to have been terrorized by evil spirits while living in the house. 5. The Hills Have Eyes. Bob Carter, his wife Ethel and five other members of their family decide to head to San Diego, California to have a vacation in their camper trailers. An accident leaves them stranded in the desert. Bob and his son-in-law leave the others behind to head off on foot to get help. The Carter family are unaware that they’ve become prey to a group of mutants that have an intense hunger for human blood. These mutants are the result of nuclear testing that was done decades earlier. The real story of The Hills Have Eyes was inspired by the legendary tale of Alexander “Sawney” Bean. As this 15th-century legend goes, Sawney was the son of a landscaper but had no desire to follow in his father’s footsteps. Instead of becoming a landscaper, Sawney took his wife and headed for a cave along the coast in Bennane Head, Scotland. There, in the cave, he would live and raise his family of six daughters, eight sons, fourteen granddaughters, and eighteen grandsons, most of which were products of incestual relationships. The Bean clan would sleep all day and come out at night to work their “trade.” The family would ambush, rob and murder travelers and then take their bodies back to the cave. Once back in the cave, the bodies were dismembered, and the meat was prepared for the family meals. This went on for over 25 years, and even though the residents in town knew of the disappearances and the body parts that would wash up on shore, they were unaware of the cave-dwelling family that was committing the crimes. 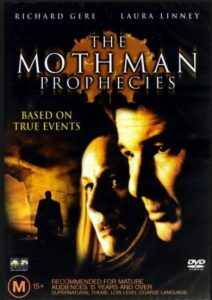 This terrifying supernatural thriller focuses on a journalist whose wife encountered a horrifying strange mothlike vision which led to a car accident that killed her. Two years later, while driving to an interview for a story, he finds himself hundreds of miles out of his way in Point Pleasant, West Virginia where there has been an outbreak of Mothman sightings. In West Virginia folklore, The Mothman is a well-known household name. The Mothman is a creature reportedly seen around the area of Point Pleasant from November 12, 1966, to December 1967. The first newspaper article that was published about the Mothman was released by the Point Pleasant Register on November 16, 1966. The article was titled “Couples See Man-Sized Bird…Creature…Something” The newspaper article spread the word of the Mothman like wildfire, and soon the story spread across the United States. 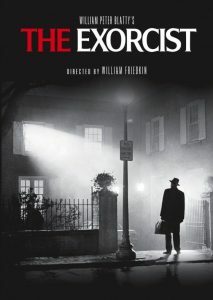 The Exorcist was one of the most profitable movies ever made. This horrifying tale is based loosely on actual events. 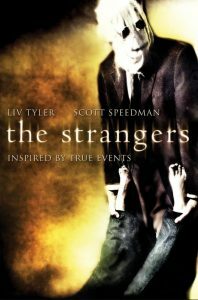 When Regan (Linda Blair) starts to act strangely, her mother (Ellen Burstyn) frantically searches for a medical reason for her child’s behavior. After taking young Regan to several specialists, they hit a dead end. No one seems to know what the problem is. When Regan’s mother contacts a young priest(Jason Miller), he tells her that he believes the devil has possessed Regan. The priest requests to perform an exorcism, and the church sends in an expert (Max von Sydow) to help with the difficult job. What happens during the exorcism will go down in cinematic history. Legend leads us to believe that the story of The Exorcist was based on a man named Ronnie Doe aka Ronald Hunkeler. Ronald Hunkeler was born in 1935 in Cottage City, Maryland to a Lutheran mother and Catholic father. At the age of fourteen, Ronald was given an Ouija Board by his Aunt Tillie. Although a connection to Aunt Tillie and the toy was never made, it is said that one of the first spirits to visit young Ronald was his the spirit of his Aunt Tillie. At first, the spirit was friendly enough, but it didn’t take long for that to drastically change. The family first noticed furniture moving by itself and not long after that; they started to see claw marks all over Ronald’s body. The family had enough and moved to a new house in St. Louis, Missouri thinking that would end their troubles. When the problems continued, the family decided they needed help from a higher power. They enlisted the help of Father Bishop, a Roman Catholic Priest teaching at St. Louis University. According to the priest’s journal, when he entered Ronald’s bedroom, the boy was lying motionless while the bed shook beneath him. The bed stopped shaking the moment the priest sprinkled holy water on the boy. They thought the episode was over, but Ronald started screaming. When his mother pulled the blanket back, there were deep scratches on the boy’s stomach. Two days later, Father Bishop returned with Father Bowdern from St. Francis Xavier College Church. An Exorcism was performed on Ronald. During the next several days, the priest’s prayers were met with violent actions and profanities all emanating from the demonic presence they believed infected the boy. The demons were cast from Ronald’s body, and he never had any more issues of this nature. 2. 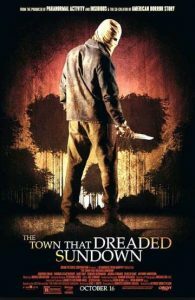 The Town That Dreaded Sundown. The Town That Dreaded Sundown is an American slasher film that put fear into the hearts of Americans everywhere. The Film was mostly shot in and around Texarkana, and a lot of locals were cast as extras. The world premiere of the film was held on the 17th of December, 1976 in Texarkana a week before it was set to be released at regular theaters. The Town That Dreaded Sundown is based on a Serial Killer known only as the Phantom Killer. Before the Phantom Killer shows up and starts murdering the townsfolk, Texarkana was a pleasant town full of carefree citizens that lived to do right and live a sweet life. Soon, a man with a bag over his head would be ripping up car hoods and yanking out wires while the occupants of the car looked on in horror. The men were murdered in cold blood, and the women were left to suffer after being brutalized in terrifying ways. The real story of the Texarkana Phantom killer is one like you’ve never heard or imagined. The masked murdered terrorized the small sleepy town over a six month period in 1946. He took the lives of five people and traumatized three others while throwing the entire town into a state of panic-driven fear. Kristen (Liv Tyler) and James (Scott Speedman) were expecting to have a relaxing weekend at her family’s vacation home, but they find out very soon that someone else has other plans for them. First, a mysterious stranger shows up the door in the middle of the night. They refuse to let the stranger inside but before long, there are two more terrifying people outside, and that is when the real horror begins. The real story behind the movie The Strangers took place in California in 1981. Known as the Keddie Cabin Murders, this horrific quadruple homicide is unsolved to this day. Although there are a lot of unsolved murder cases, this one stands out because of the sheer brutality that was involved. The murders occurred on the evening of April 11th, 1981 in Keddie, California. Sue Sharp and her five children had rented cabin 28 at the Keddie Resort where they had been staying since November when Sue separated from her abusive husband. Sometime during the evening of the 11th and the morning of the 12th, the entire family was murdered. Not only were they killed but they were bludgeoned and beaten. We hope you’ve enjoyed this list and look forward to your feedback.